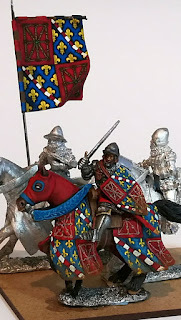 The Prince of Navarre at Crécy. 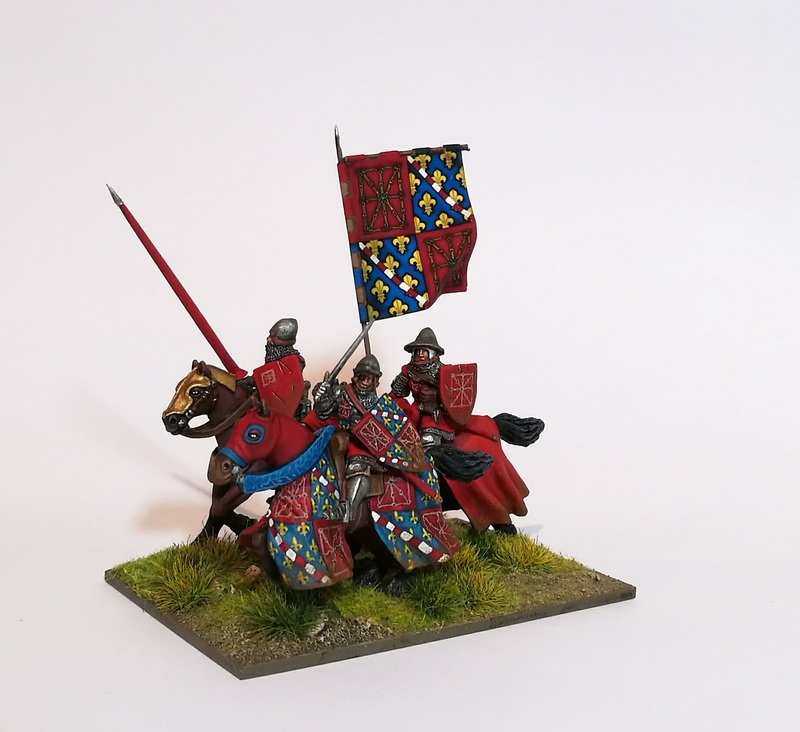 Hi standard bearer has the arms of Navarre on his shield and horse. I spent a lot of time researching the Prince but couldn't find any references to his Standard bearer at the battle. If anyone out there has information .. 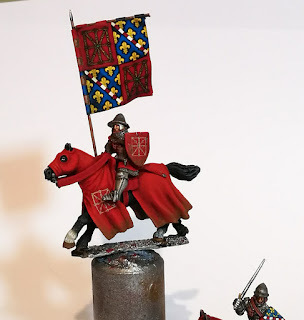 Probably one of the most complicated figures I have painted. The standard is by Flags of War. These are Foundry figures on Front Rank horses. Stunning! The coat of arms on the caparison looks magnificent! Bloody hell! That's some very impressive painting! Thank you all. Some great encouragement for me. 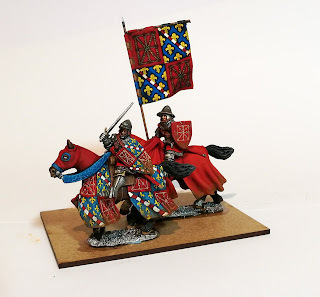 This will be part of the King of France unit and need to make them stand out a bit.